Our architectural background allows us to full collaborate and problem solve with the building team and client. Working with architects to create new buildings that enhance our community is a priority at Kittle Design and Construction. 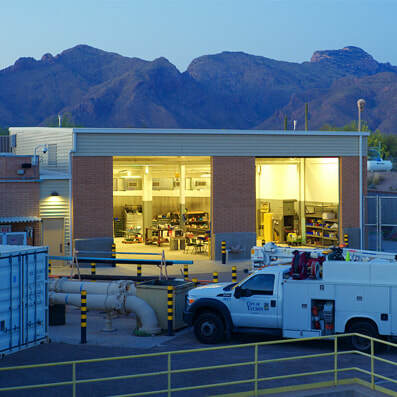 Our architectural background allows us to anticipate problems and fully collaborate with the building team. This provides great opportunities to take advantage of current energy-efficient materials and methods. This building serves youth who have left their homes. It is a 20 bed facility with staff offices, laundry, a commercial kitchen, a large central dining, living, and computer use area, and outdoor play and relaxation areas. Daylighting, cheerful colors, and durable materials give teens a pleasant place to live, study, and plan their futures. 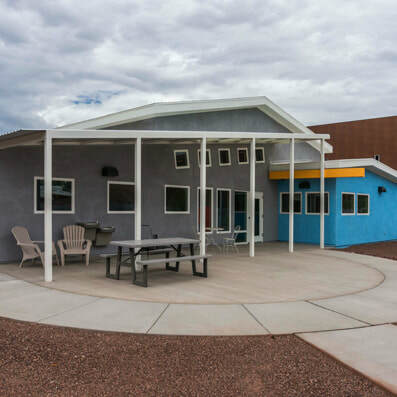 The project was sponsored by Angel Charity for Children, Inc.
We phased the construction and maintained operation and safety of an existing shelter while the new one was built. The new shelter achieved a Gold LEED rating. This building is used by all the student musicians at this middle school. 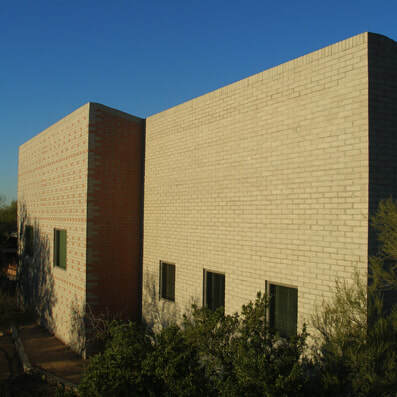 The building has a large terraced practice room, individual practice rooms, an instructors office, and instrument storage. The front opens to student walkways, and the back has decorative masonry patterns at the outer edge of the campus. Access to this small site was extremely limited. In order to create a useable site, Kittle built a retaining wall next to an adjacent wash. This non-profit organization helps people train their dogs to assist with a variety of tasks. Kittle built retaining walls to accommodate a grade changes. 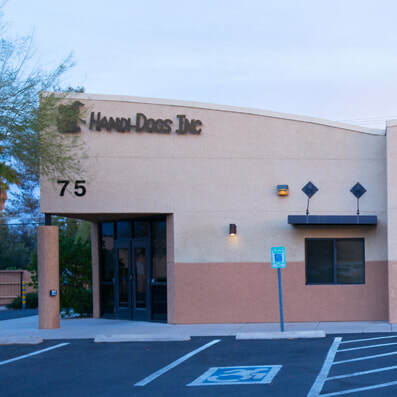 The building is metal-framed, has stained concrete floors, bright colors, skylights, offices, and a large training area that has proved to be a very pleasant place for volunteers and dogs to work together. This landmark restaurant needed to add space to their bar, enclose an outdoor patio for additional dining, a new walk in cooler, and additional dry storage. Sculptural metal trees at the entry complement the artistry of the Café’s food. Materials for this project included glass tile and shelving, solid surface countertops, LED strip lighting, water-cut steel plates, and extensive stainless steel surfaces and appliances. 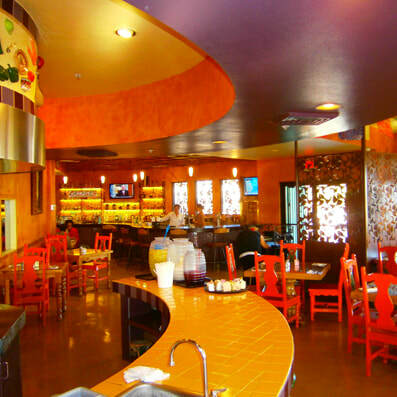 The busy restaurant was kept open through the entire construction project except for one planned week when the floors were re-surfaced.